Tony works with Accountancy Professionals on strategy and client development . 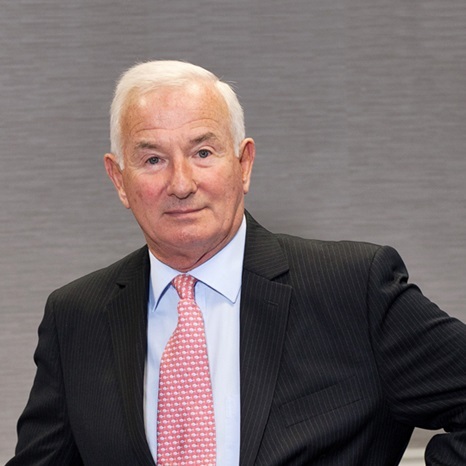 A fellow of the Institute of Chartered Accountants, Tony has extensive experience as both Non-Executive and Chairman with several of Ireland’s leading companies and possesses broad business experience. Tony was previously CFO of Smurfit Kappa Ireland & Smurfit Kappa UK, where he was ultimately responsible for the group’s financial reporting requirements (both management and statutory), investment and capital evaluation decision-making, and other strategic and business planning responsibilities. Tony has extensive experience in mergers, acquisitions and disposals, having executed various M & A transactions on behalf of Smurfit Kappa and associated companies (Killeen Corrugated Products, Finlay Packaging Ltd, Ulster Paper Products Woodfab Group) during his distinguished career. Tony was also heavily involved in various IT-implementation programmes during his time with Smurfit Kappa Group, having launched SAP (across 8 countries, 6 languages, and 2,500 users), company intranet (Smurfit Europe), and the financial consolidation system (Hyperion Enterprise) on behalf of the Group. In addition to the board representations detailed below, Tony was a Board Member of Smurfit Kappa Group Ireland & UK and its associated companies at various stages during his career.